A brainchild of the late Department of Interior and Local Government Secretary Jesse Robredo, the esteemed Kaya Natin! Movement honored Valenzuela City with this award for having the most outstanding impementation of “Kalusugan Pangkalahatan” (KP) program under the Administrative Order No. 2010-0036 on the Aquino Health Agenda (AHA), and for displaying exemplary overall leadership in the area of health. This was awarded by the Department of Interior and Local Government (DILG) in recognition of Valenzuela City’s for placing 4th place in the Local Governance Performance Management System (LGPMS) among Highly-Urbanized Cities (HUCs) in the Philippines– particularly in the area of local legislation, development planning, resource generation, resource allocation and utilization, customer service, human resource management and development, as well as, in valuing the fundamental of good governance. Valenzuela City became a recipient of the Department of Interior and Local Government (DILG) – Local Government Academy’s Galing Pook Award in 2012 for its Simple, Spee and Service or 3S in Public Service Program, which has become the primary anti-graft and corruption platform of Valenzuela City’s that guarantees transparency in local government transactions. The Philippine Chamber of Commerce and Industry (PCCI) chose Valenzuela City as the most business-friendly city government for its outstanding efforts in instituting good governance reforms as a means to promote trade and investment not only for the benefit of the business community but also of the wide constituency, ensuring transparency and accountability. In partnership with the League of Cooperative Development Officers of the Philippines (LDCOP), the Cooperative Development Authority (CDA) bestowed this award to cooperative development offices in Valenzuela City. The National Police Commission (Napolcom) gave this recognition to Valenzuela City Police for operating a help desk that most efficiently protects and promotes the welfare of women and children in Metro Manila for the year 2012. The Department of Health (DOH)’s National Nutrition Council in the National Capital Region recognized Valenzuela City for offering an outstanding breastfeeding program and exemplary child nutrition advocacy in 2012. The World Bank and the International Finance Corporation recognized Valenzuela City as one of the business friendly cities in the country. It ranked first out 25 cities in 183 economies that were nominated in guaranteeing “Ease of Registering Property,” fourth in providing “Ease of Starting a Business”, and sixth in ensuring “Ease of Dealing with Construction Permits” for the year 2011. The Meralco Luminaries Award bestowed this accolade to Valenzuela City for being a shining example of good governance and public service. The recognition is given annually to honor outstanding organizations and groups in the country for their exemplary contribution in nation building and helping the country achieved world-class stature. The Department of Health (DOH) conferred this award to Barangay Caloong’s Center for Health Development for its efforts to implement strategies in ensuring environmental sustainability under the Millennium Development Goals in Valenzuela City. For the school year 2010 to 2011, Valenzuela City topped the cities in Metro Manila in having the most number of elementary students to pass the National Achievement Test (NAT), which is annually administered by the Department of Education (DepEd) through the National Education Testing and Research Center (NETRC). Valenzuela City ranked first in the Department of the Interior and Local Government (DILG)’s Local Governance Performance Management System (LGPMS) Report, which assesses the capability and limitations of local government units in delivering essential services to the public, in 2010. The National Housing Authority (NHA) cited Valenzuela City government for advocating and promoting efficient delivery of housing strategies, programs and projects in 2010. The Department of Labor and Employment (DOLE) recognized Valenzuela for running the best non-fee charging multi-employment service facility in 2010. The National Commission for Culture and the Arts (NCCA) awarded the city government of Valenzuela City for offering programs that preserve and promote Filipino culture. The city government of Valenzuela City placed second in the Department of Finance – Bureau of Local Government Finance (BLGF)’s ranking of cities that efficiently generated the most revenues in the country. The highly-urbanized city registered a record high 109.5 percent increase in collection efficiency and an aggregate P 1,329,747,855.72 revenue collection for fiscal year 2008. The National Police Commission (NPC)’s National Peace and Order Council (NOPC) recognized Valenzuela City for having the second best Peace and Order Council in Metro Manila as a result of Congressman Win’s “Valenzuela Police Station Capability Enhancement Program in 2007. 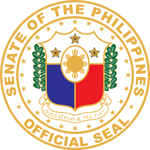 Senator Win received this prestigious award from the Boy Scouts of the Philippines for his outstanding service to scouting. This is one of the most prestigious awards given to Philippine Red Cross (PRC) members or volunteers, who displayed exemplary leadership and outstanding accomplishments that has contributed in the promotion of humanitarian organization’s mission. The Development Executive Group (Devex), the world’s largest community of international aid and development professionals, chose Senator Win as one of the young, reform-minded, and spirited leaders that are making a major development impact by catalyzing change in the Philippines. This National Capitol Region Police Office (NCRPO)’s Regional Investigation and Detective Management Division gave this award in recognition of Senator Win’s contributions to the improvement of the Valenzuela City Police during his term as city mayor. The Junior Chamber International – Philippines honored Senator Win as one of The Outstanding Young Men (TOYM) of the Philippines for his more than a decade of commitment to public service. The Philippine Red Cross (PRC)’s Board of Governors bestowed Senator Win with this prestigious award in recognition of his highly-distinguished leadership and outstanding achievements that contributed to the status attained by the PRC today. The National Police Commission named Win Gatchalian as the best mayor in the CAMANAVA area for giving enormous logistic and financial support to Valenzuela City Police’s Police Visibility Program and the Philippine National Police (PNP)’s MamangPulis Program.